This keyless remote programming instructions work for IR JEEP remote with part # 56009031 on the back of it. 1. Open the driver’s door of the vehicle. Leave it open through the programming procedure. 2. Move the driver’s door mechanical door lock lever – not the power lock switch – to the lock position. 4. Within 20 seconds, aim a remote at the receiver dome and press the LOCK button for at least 5 seconds. 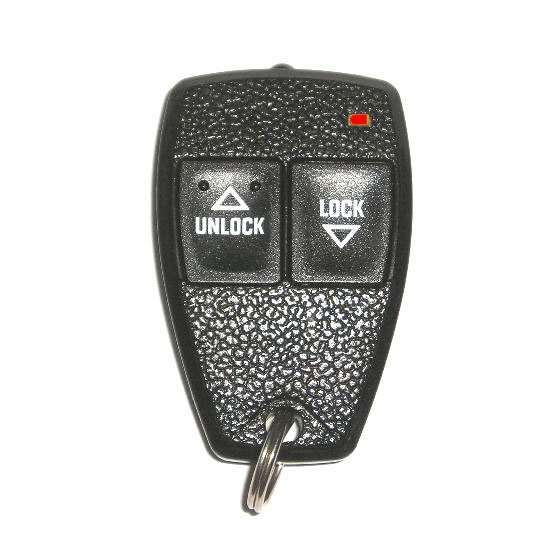 Once the receiver accepts the programming code the driver’s door will unlock. 5. Once the first remote has been programmed, additional remotes up to four may be programmed. Within 20 seconds of the previous remote programming, move the mechanical door lock lever to the LOCK position. Aim the next remote at the receiver dome and press LOCK for at least 5 seconds. The door lock will cycle again. 6. The ignition must be turned off and back on within 20 seconds of the last remote for all programming to be saved. At that time all previously programmed remotes will be unprogrammed if you didn’t program them just before.